linda thompson books – Page 2 – The world of my imaginings . . . I am about to update my Reading page on my website. I would like to perhaps add a comment or two from a fan to precede the posting. If you are willing to comment on the story, attach your name to it, and have both appear on my website, I look forward to hearing from you. I will select a comment or two at random for use and appreciate your kindness and support. You can expect to see the comments and update to the webpage before the end of next week. I cannot tell you how much I appreciate the support you have given me and my books over the past two plus years. WHAT WOULD YOU THINK IF . . .
What would you think about a Pride and Prejudice variation that had Charles Bingley as one of the bad/evil characters. I really want to hear your opinion about this without giving away any of the story idea. My new book, A Matter of Timing, is now available in paperback. I expect the ebook to be available later today or tomorrow. Hopefully, you are intrigued. If so, look for my newest release by the end of this month. I have finished my first book in over a year. It is currently with the professional editor and should be available for sale by the end of June. The story has been posting on FanFiction.net. I thought I would reveal the cover today! Stay tuned next week when I will reveal the blurb for the book. I am still stressing over the need to make the dialect of servants and foreign characters different from that of the rest of my novel. I think that I have finally decided how I feel about this issue, but want to get your opinion. “I have heard of Monsieur Gardiner, but have not had the pleasure of meeting him. Perhaps, Madame Gardiner, you might arrange for an introduction. If he can obtain such beautiful fabrics, I must have access to him.” To her listeners, Madame LaRue’s accented-English flowed as smooth as fingers gliding across the silks on her shelf. CONGRATULATIONS AND ANOTHER CHANCE TO WIN! Congratulations go to Carol Jean Perrin for answering Question 4 correctly (at the theater) and to Kathy L. Berlin for answering Question 5 correctly (they were brothers). Both will shortly receive an audio book copy of The Laughter of Love. Here’s another question for some lucky follower to answer. Question #6: Who else wedding, besides that of the Viscount and Lady Penelope, did the Darcy’s attend during their fall visit to London? Who will be next to answer a question correctly? We still do not have an answer to Question 4, but I though I would put out another questions anyway. I want to give away more free audio books. 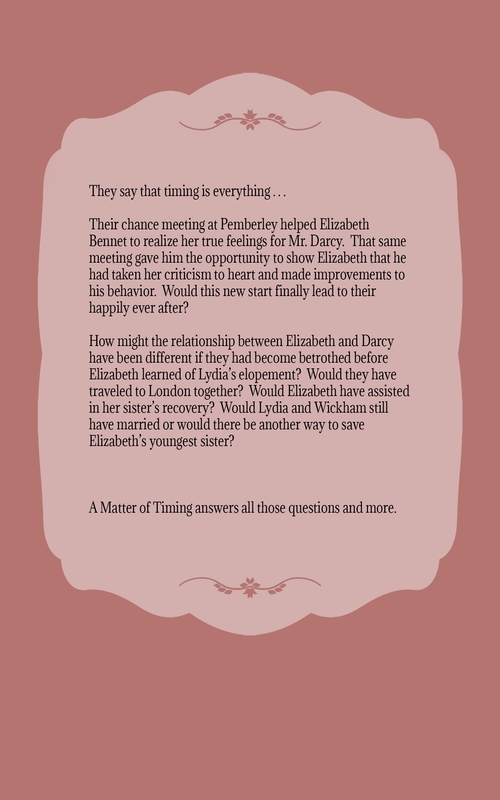 Question 5: What was the relationship between Lady Marjorie’s husband and Michael Amesbury? Be the first to answer this question and you could win a free audio version of The Laughter of Love. Feel free to still answer Question 4. Congratulations to Jessica Walsh for correctly answering Question 3. The correct answer was Michael Amesbury. Ready for another chance to win? Then be the first to answer the next question! Question 4: Where did the Darcy party encounter Lady Marjorie for the first time after their marriage?